The latest big news story in Ontario is the drowning death of a 15 year old during a canoe trip on Algonquin Park. Early reports and official accounts detail how all of the participants wore flotation devices while canoeing. However, apparently in the evening, some of the kids went into the shoreline water to wash up, and some didn’t wear life jackets. In my own experiences over 35 years, and leading over 3,000 kids on Wilderness trips, points me to the likely causation of this unfortunate tragedy. Most experts point to swim tests. I point to the very simple safety protocol that I use at all of my camps: no one goes into the water, to swim, to wash up, for whatever reason, in a Wilderness Lake that is cold and dark and has many dangers, without wearing a properly fitted Transport Canada approved flotation device! No one, especially youth. Even if there is supervision and/or a Lifeguard on duty. Wilderness lakes are not swimming pools, or safe sandy shallow beach shorelines at resorts or camps roped off with lifesaving equipment and signage and supervision protocols. I recommend that parents understand this when they head to the waterfront. At all times, no exceptions. You can drown in as little as 3 inches of water. And even if you passed a swim test, you can still end up with a gasp reflex due to cold water, or a health issue that causes you to pass out. If you go under in a cold dark Wilderness Lake, you will lose all spacial perception as to which way is back up. This is also why boaters should wear their flotation devices at all times when in any boat, and why Snowmobiles should wear flotation at all times! Every year in Ontario, an average of 30 boaters drown in mishaps, and approximately 75 – 100 drownings in total when including all water activities (eg swimming). All boaters should have hypothermia and rescue equipment , and communications and signalling gear in their boat. 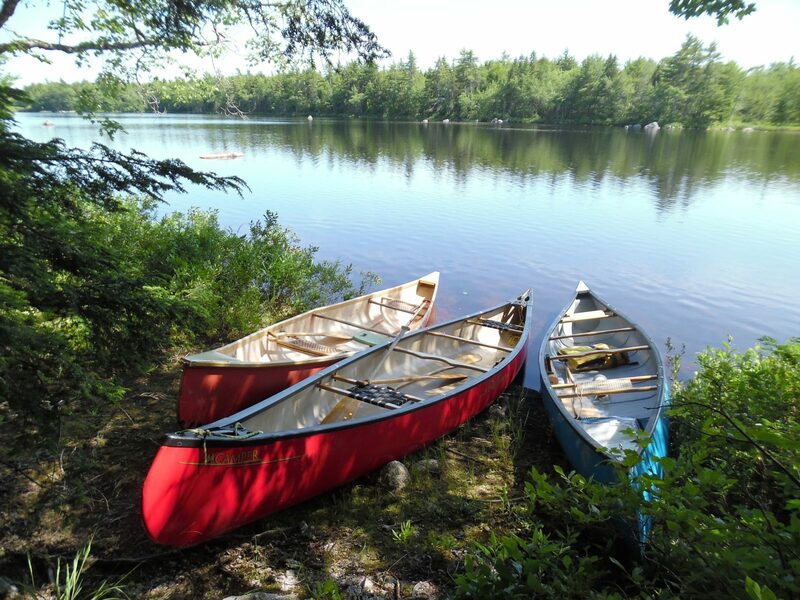 For canoes, kayaks, paddle boats, smaller fishing boats‎, at minimum, boaters should have a properly sized paddle and flotation device per occupant, a 1.1+ litre bailer and/or bilge pump device, 50 feet minimum or heaving/bouyant rope (throw bags are the best), and a bright 180 degrees light for night travel. Typically, the O.P.P. and Coast Guard can lay charges for each offense, $200 per infraction, and could end up in thousands of dollars in charges. For reckless operation of a vessel, or drug or alcohol impairment, the same charges that apply to your automobile will be the case. Your driver’s license could be suspended, boat impounded, and you will face substantial insurance premiums. Swimming at night is very dangerous, as is boating at night. Get up to date water temperatures and weather alerts, stay away from dams and waterfalls or dangerous moving water, remember there are leeches, water snakes, and snapping turtles. Get off the lake when thunderstorms are approaching. One last thing. With safety in mind, go out and enjoy the great Ontario wilderness and waterways‎, reconnect with nature, and remember: you are biodegradable, don’t become a statistic.